Life can be disruptive and baffling at times but we hope you make space in your everyday to experience joy. 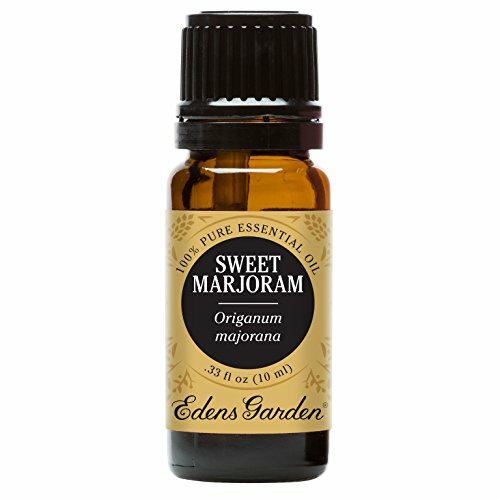 With an herbaceous-green and dry aroma, Sweet Marjoram's name means "joy of the mountains." It is refreshing and alluring and helps revitalize the body. We, at Edens Garden take great pride in providing 100% pure therapeutic grade essential oils. Essential oils from plants connect us to the botanical world and are renowned for their therapeutic and beneficial qualities. They are steam distilled/ cold pressed directly from flowers, leaves, bark and wood without any adulteration or synthetic additives, as it was intended, directly from nature.